Not resting on its laurels, the ORS Office has implemented an aggressive strategy in designing, developing, launching and operating low-cost, rapid-reaction spacecraft through the ORS-2, ORS-3 and ORS-4 programs.
. "Our three current programs (ORS-2, ORS-3 and ORS-4), will make huge strides in rapid response becoming a reality." 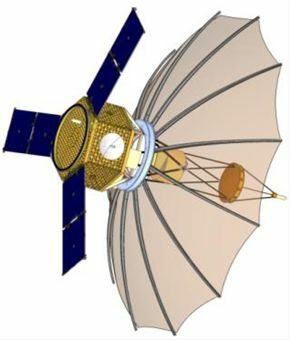 Currently, in the development stage, ORS-2 will consist of a modular, rapidly configurable bus employing plug-and-play technology, as well as radar and electronic tactical support payloads. According to what I have It is expected to launch as either a standalone payload on a Minotaur series rocket (Minotaur IV may be more likely since ORS-2 is predicted to be slightly larger in size than ORS-1 (based on late 2011 data)) or as a secondary payload on Atlas V 400 series.